I have never thought of beach bucket list until I move to California. I was always making bucket list according to the season. Once I moved here I realized that California has tons and tons of beaches and you don’t have to go far to find one. 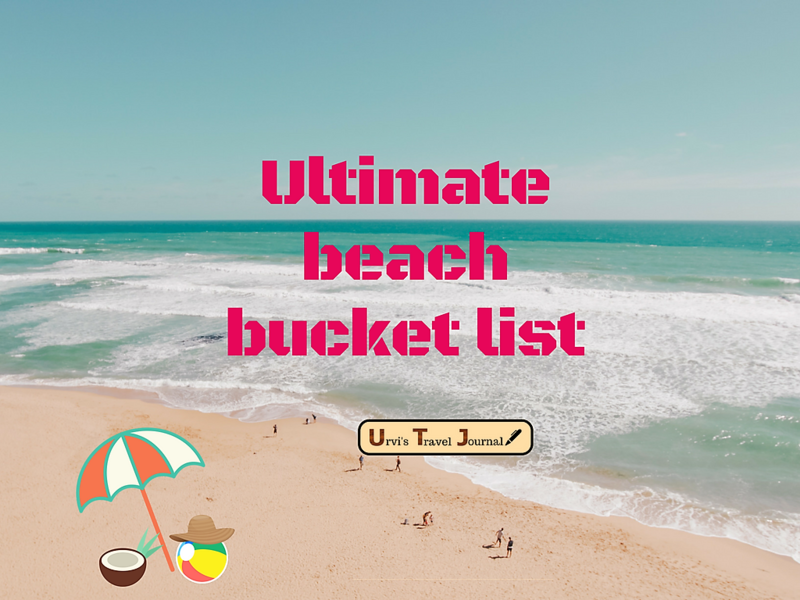 Since last month making an ultimate beach bucket list was in my to do list and I was finally able to create it. In California, all beach has different surroundings some have pier which is commercialized and some are just calm and known among the locals only. Beside swimming on the beach, take a walk on the shore is my favorite activity. 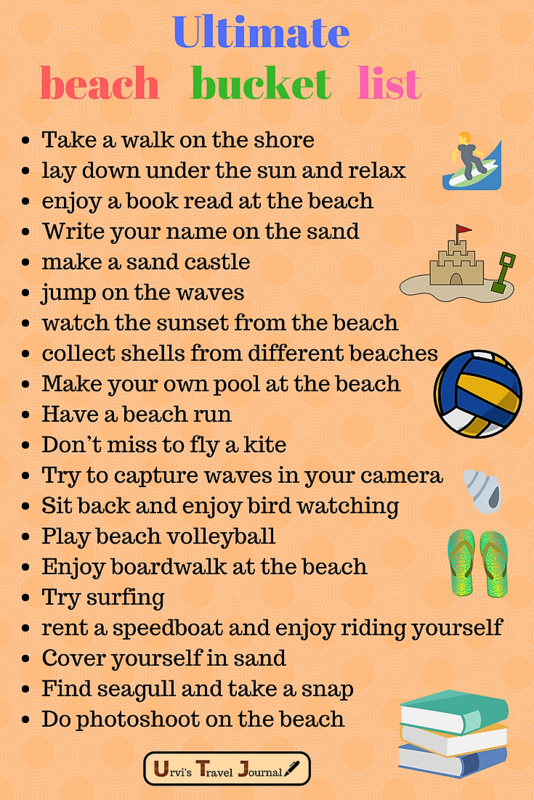 Which are your favorite activities to enjoy a beach trip? Don’t forget to share your beach bucket list. A really good list I will recommend this list to all my upcoming yoga teacher training students in Goa India. Great!